The United States is on track to produce more crude oil and liquids than Russia and Saudi Arabia combined by 2025, according to a report from the independent energy research and consulting firm Rystad Energy. Liquids output is expected to rise above 24 million barrels per day over the next six years, assuming U.S. crude prices average $58 a barrel during the period, Rystad said in the Jan. 24 report. The growth in U.S. liquids production will be driven by major shale basins such as the Permian Basin in parts of Texas and New Mexico, according to the report. “U.S. 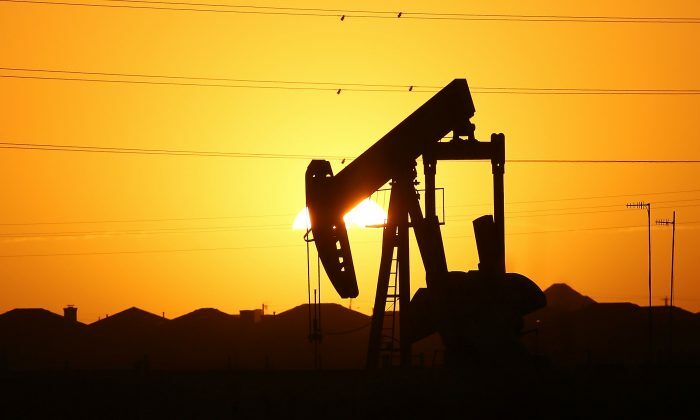 growth potential could be slowed if oil prices slide below our base case for extended periods but, as long as average prices stay above $50, positive U.S. production tendencies will persist,” Rystad analyst Artem Abramov said in a statement. The United States edged out Russia and Saudi Arabia to become the largest crude oil producer last year, as growth was driven by a shale boom centered on parts of the Permian. “Some market participants have voiced concerns about a possible depletion in resources from core parts of major liquids basins in the U.S. But there are no indications that such a development will occur any time soon,” Abramov said. The country’s oil output is expected to rise to a new record of more than 12 million barrels per day in 2019, according to the Energy Information Administration. The United States, Russia, and Saudi Arabia have constantly shifted places atop the list of the world’s biggest oil producers. President Donald Trump has loosened regulation on the oil industry and pushed for drilling projects on federally owned lands in Arctic Alaska. After decades of prohibition, the Trump administration won approval to drill in the Arctic National Wildlife Refuge. The Bureau of Land Management isn’t pushing to lease land in the area.